Discussion in 'SEO - Link building' started by LinkBuildingServices, Aug 22, 2017. Up to 100 subcategories: Finance, Home, Business, Marketing etc. To Get $35 On Backlinks! How To Get This Bonus? 3. Congratulations! You can spend $35 on backlinks now! You can set country, language, category (=niche), DA, PA, Sb rank etc. Any sample for Hunting and Home Improvement tools ? Check newly added websites to our inventory! 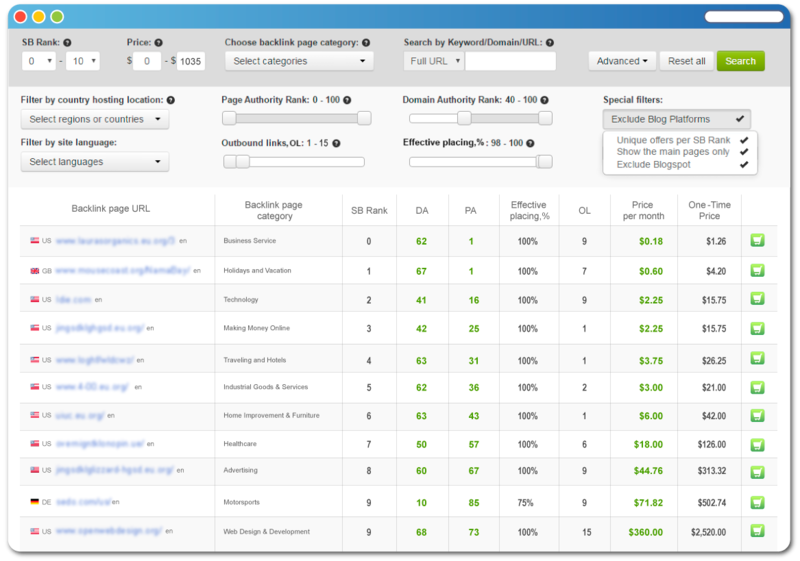 and get a list of backlink offers matching your requirements! 2. Claim Your Extra $10 in this thread! 3. Congratulations! You can spend $35 on niche backlinks now! Great! Let's proceed in PM.